NEW YORK (AP) — The release of the special counsel’s findings in the Russia probe upended the 2020 presidential campaign, all but settling the question of whether President Donald Trump could be knocked from the race by a new revelation in the report and turning the debate over the investigation on its head. The president, who for years has lashed out against a “political witch hunt” from a place of fear and uncertainty, showed Monday he will now wield the findings with confidence. And his critics in both parties, who toyed with the idea that Trump conspired with a foreign power to win the presidency, were knocked on their heels. 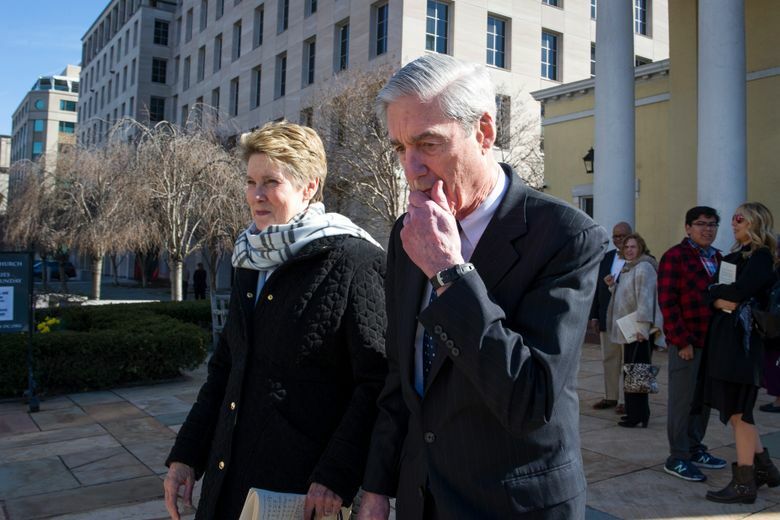 The new political reality governing the 2020 campaign, temporarily at least, settled in a day after Attorney General William Barr released his summary of Mueller’s conclusions. Barr said Mueller found no evidence that Trump or his associates conspired with Russia. Mueller did not make a determination on whether Trump obstructed justice, but Barr said he reviewed the evidence and found it insufficient to determine criminal wrongdoing. Although the disclosure was nuanced, Trump’s response was not. The president and his allies declared complete vindication, signaling they intend to use the report to bludgeon rivals and energize Trump’s supporters. Trump’s Republican campaign circulated a list of Democrats who have accused Trump of collusion and asked television networks to challenge them on air. Some Trump defenders called on the president’s outspoken critics to apologize. “For more than two years, angry Democrats — disgruntled and unable to accept the results of the 2016 election — falsely claimed to have evidence of crimes that did not exist and launched a political witch hunt,” said Katrina Pierson, a senior adviser to Trump’s re-election campaign. “Democrats have lost the trust of the American people because now Americans know they have been manipulated,” Pierson continued. The 2020 Democratic presidential contenders largely responded by calling for the release of the full report but said little more. None in the crowded Democratic field had embraced Russian collusion or impeachment as a central campaign issue. Yet the possibility that Trump colluded with the Russians or engaged in other criminal behavior has become a constant undercurrent in Democratic politics. Such notions got far less likely Sunday. Democrats in Congress say they will push for the release of the full Mueller report. They also will continue investigating Trump’s personal and professional life before and after he became president. “It’s important that they make it clear to the public that they are fulfilling their responsibility and obligation to provide oversight and accountability and doing it in a way that’s in the public interest and not merely a partisan enterprise,” said Democratic pollster Geoff Garin. Mueller’s initial findings also mark a setback — in the short term, at least — for those few Republicans considering mounting a primary challenge against Trump. While the president is unlikely to lose a primary election, his team feared that a credible challenge could weaken him politically ahead of the general election. Maryland Gov. Larry Hogan and former Ohio Gov. John Kasich are openly contemplating bids. Kasich adviser John Weaver was incredulous that Mueller cleared Trump of collusion. “When a campaign manager gives a Russian agent polling data, what is that?” Weaver asked, referring to Mueller’s allegations that former Trump campaign chairman Paul Manafort shared Trump campaign polling with a business associate tied to Russian intelligence. Another prospective primary challenger, former Massachusetts Gov. Bill Weld, sought to downplay the impact of the Mueller report during an appearance in New Hampshire on Monday, but shifted the conversation quickly away from Trump toward his own record. It’s unclear how long the new political dynamic will last. Political strategists in both parties note that things could change quickly if the full report — or the findings of unrelated criminal investigations — is released. And voters in the Trump era have notoriously short attention spans. Democrats may find it difficult to walk a fine line as well. The challenge was on display Sunday in Nevada where Democratic contender Beto O’Rourke, who has called for impeachment, was campaigning as the Mueller news was breaking. He didn’t have a chance to read the summary before taking the stage. O’Rourke, through a spokesman, said he would not apologize on Monday when asked by The Associated Press. “Beto firmly stands behind his comments on President Trump’s unprecedented and unacceptable conduct,” O’Rourke spokesman Chris Evans said, citing the president’s repeated attempts to downplay Russia’s involvement in the 2016 election, among other concerns. Associated Press writers Hunter Woodall in Concord, N.H., and Elana Schor in Washington contributed to this report.